Stormwater Plan | James Environmental Management, Inc. Many industries are required to have a Storm Water Pollution Prevention Plan in place in order to receive an operational permit. Navigating through the requirements of the Plan can be nerve-racking. Let James Environmental Management ease your concern and develop a site-specific SWPPP that will keep your facility in compliance! It’s in the title! 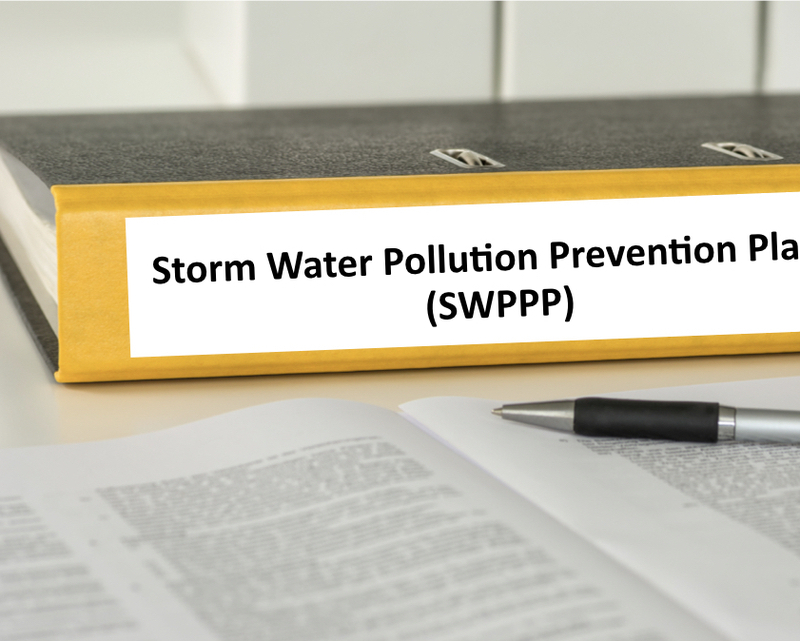 A well prepared SWPPP is a plan that identifies potential sources of pollution that can detrimentally affect water bodies of the state. It will designate reporting procedures and describe best management practices to implement at your facility in order to reduce pollutants leaving your site through stormwater discharge. Wondering if you require a SWPPP? Is your facility classified as an industrial activity site according to the EPA? Can stormwater from your facility discharge into a municipal separate stormwater sewer system (MS4) or into waters of the State (WOTUS)? If your answer is “yes” to either of these questions, your facility is required to have a SWPPP and a stormwater permit . Refer to the definition of “industrial activity” on the EPA’s website for more information. To avoid penalties levied on noncompliant sites, your operation should be in regulatory compliance with federal, state, and local stormwater regulations. If you would like to form a SWPPP or get further information about SWPPPs and how they can affect your operation, please give us a call today!